No one ever said that the game of golf is easy. How often have you seen or bought a golf instruction book that claims to offer an improved technique or a swing fix – but which doesn’t tell you which part of your technique needs fixing? In The Winning Golf Swing, renowned golf professional Kristian Baker gives you a practical, yet easy-to-follow path to better golf. Through a rigorous but simple process, Kristian will help you to address the problems in your game so that you can shoot better scores. 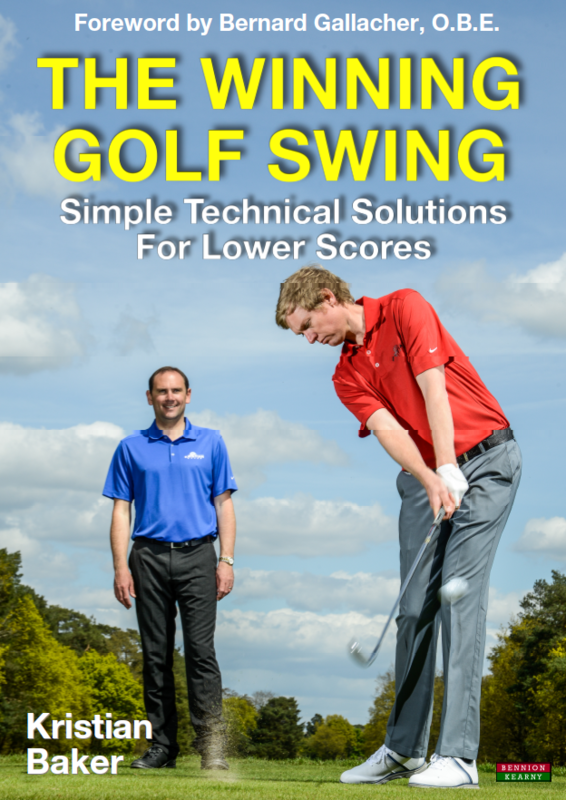 With contributions from some of the top minds in golf, this book delivers a complete process for improvement. By reading this book you will gain great, factual knowledge. By applying the information in this book to your own game, you will be able to identify your mistakes quickly, properly understand them, and – most importantly – correct your destructive shots. The book also draws on the expertise of some of the brightest people in the game, including renowned mind coach Karl Morris, and Chris Sells, an expert in statistical analysis. Foreword by Bernard Gallacher, OBE. Kristian Baker is the Head of Instruction at The Wentworth Club in Surrey where he has worked for over 20 years. Kristian has compiled an impressive CV of coaching results and has worked with club members, leading amateurs, and some of the best professionals in the world. The professionals have competed on the US and European Tour, winning numerous European Tour events including the European Open, Dutch Open and the St Omer Open. Kristian’s most notable professional results, to date, came during his years coaching Ross Fisher. He began coaching Ross whilst he was still an amateur at Wentworth before establishing himself as one of the world’s best professional players. Kristian has taught several other European Tour players who have also won on the European Tour. Amateurs he has coached have won many of the top events including the English Amateur, Faldo World Series and Finnish Amateur, amongst others.